We are a family owned and operated business. Our team will do whatever it takes to make sure you are satisfied with our work. Contact us today and ask about our Infiltrator Water Technology tanks and drain field installations. 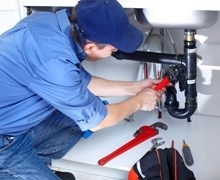 Brock Allen, the owner, has over 24 years of plumbing experience.